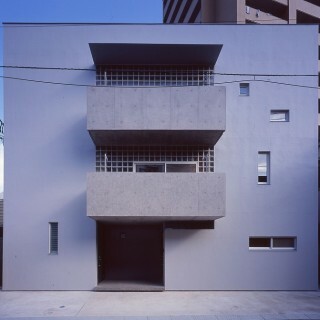 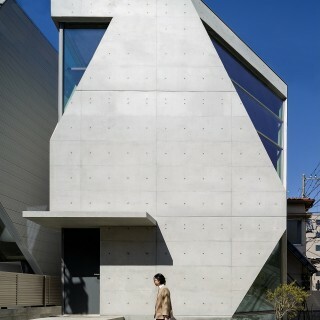 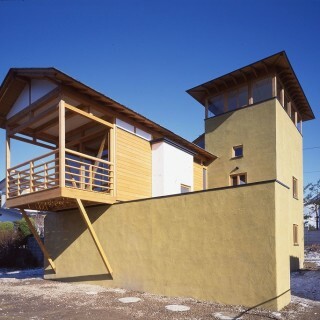 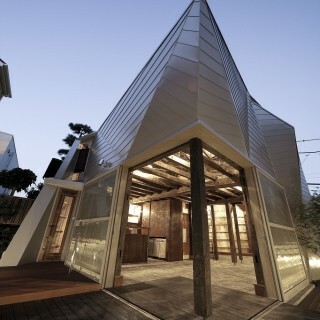 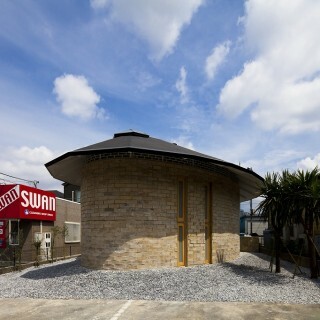 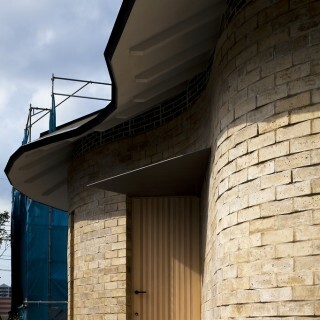 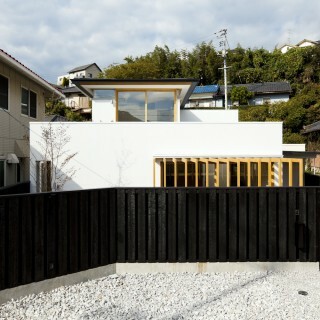 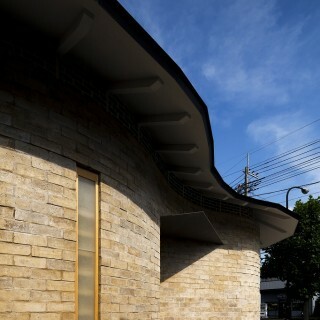 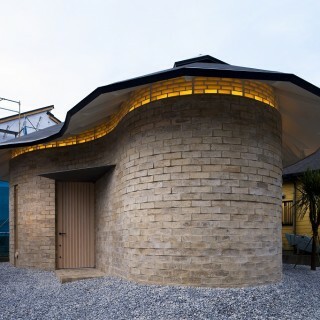 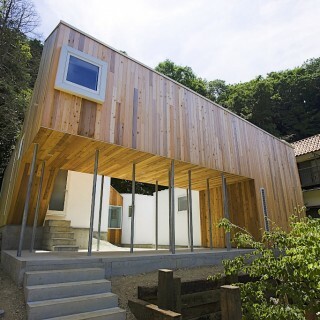 This is the first earth structure house to be built in Japan. 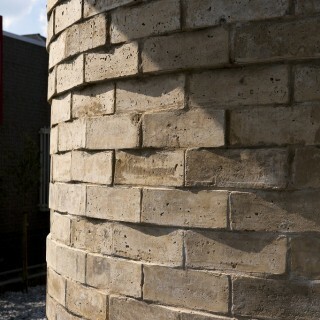 With the most generous support and understanding of our client, we were able to work in collaboration with universities and professionals from related fields to do numerous workshops and experiments in order to develop an earth brick masonry system using mud from the earth and other natural ingredients. 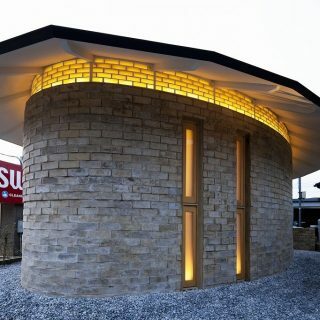 The “earth bricks” are 400mmx250mmx100mm in size and each one hand made, using molds, manual tools, earth and natural hardening ingredients (magnesium oxide etc.). 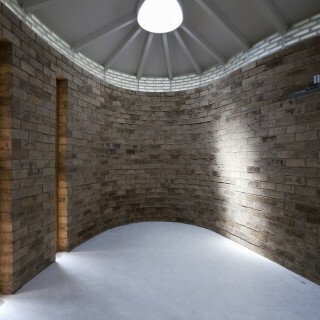 A total of about 2500 bricks were hand laid to complete the structure. 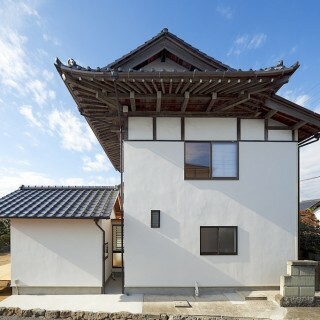 The plan is in the shape of a ‘comma-shaped bead’ or a traditional decorative bead that is was used as a lucky charm in the stone ages. 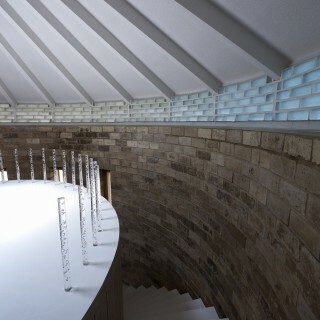 Glass bricks topped the masonry walls in order to create a band of light just under the roof that would let in a softened natural light inside. 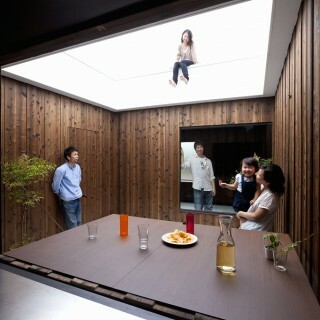 The partition walls and the upper floor are made of LVL panels. 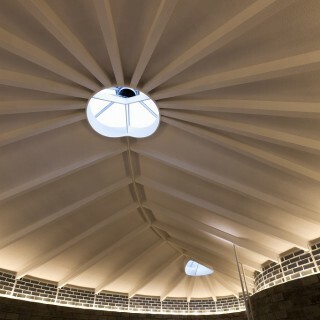 The ground floor was finished with polished terrazzo. 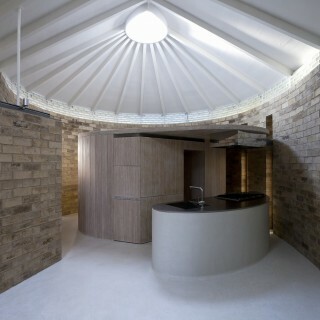 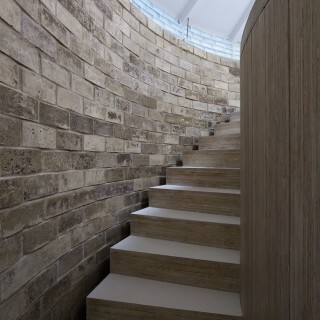 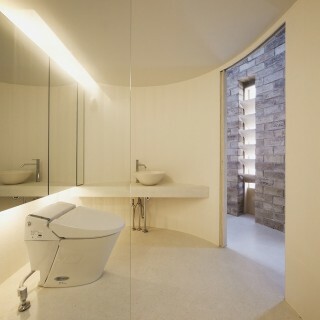 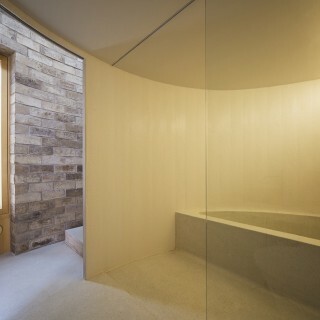 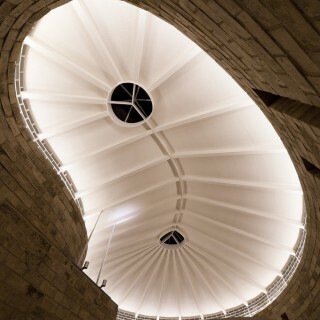 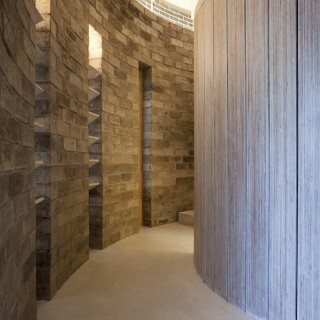 Two skylights let natural light inside, illuminating the space enclosed by the earthen walls.